Located at 2 kilometers east from La Fortuna Park. 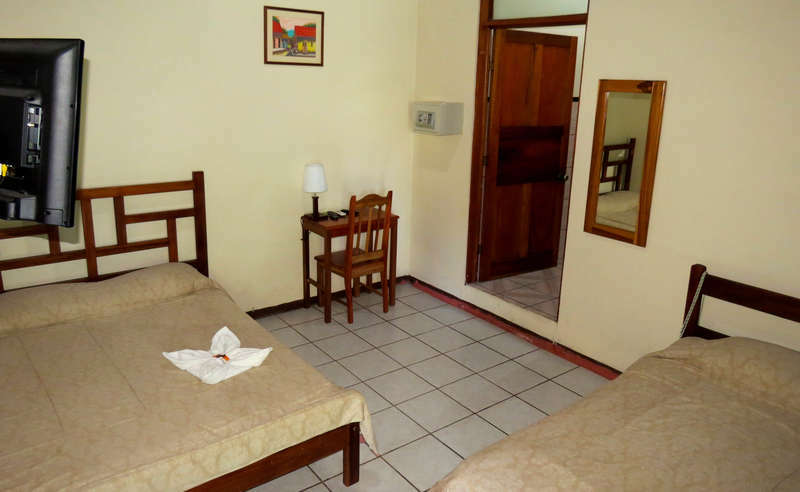 Hotel Jardines Arenal has comfortable rooms, divided in three categories: standard, superior and family. 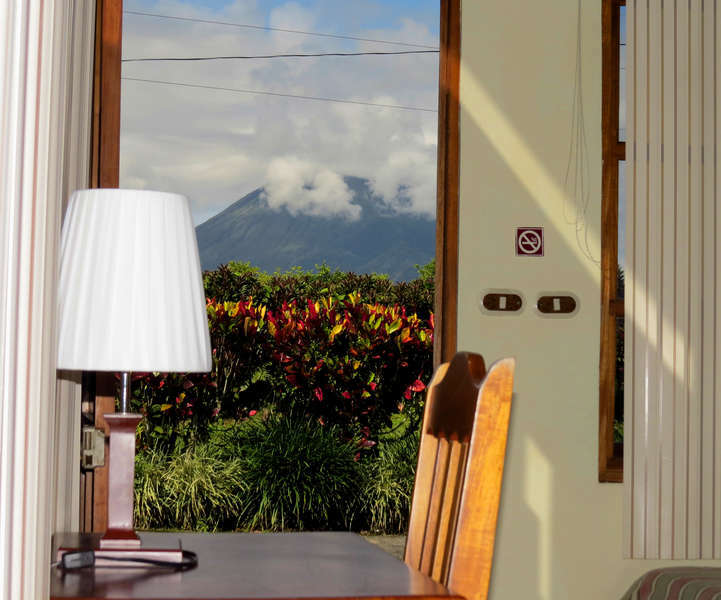 Equipped with air conditioning, private bath, cable TV, safe, hot water and some of them overlooking to the extraordinary Arenal Volcano. Our family room is also equipped with coffee maker and mini refrigerator, is located on our second floor so it has a balcony and has a maximum capacity of 5 people. 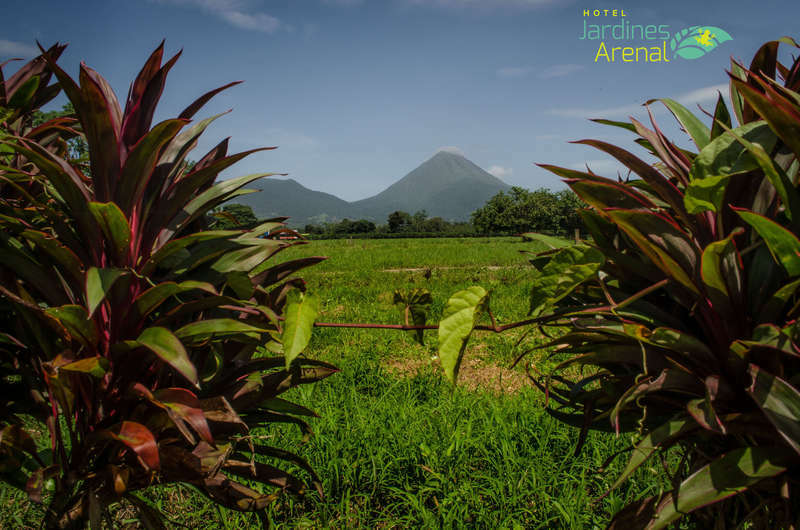 In Hotel Jardines Arenal, we are waiting to make your holidays a unique and pleasant time. Our team is ready to assist you in the best way. We are your best choice, book now and take advantage of this great opportunity. Cancellations must be received in writing . • Any cancellation at least 15 days before arrival a charge of 50 % of the total reservation will be charged. • No refund or credit for cancellation requests received 14-0 days before arrival . • Cancellation of reservations for Easter , Christmas and New Year ( December 20 to January 02) with less than 30 days before the date of arrival will incur a penalty of 100%. Standard for 2 persons: $ 50. Superior for 2: $ 55. Family for 3 people: $ 80. Children under 4 years old FREE, sharing room with minimum 2 adults.